Learn the characteristics of Ammocoetes compared to other chordates. 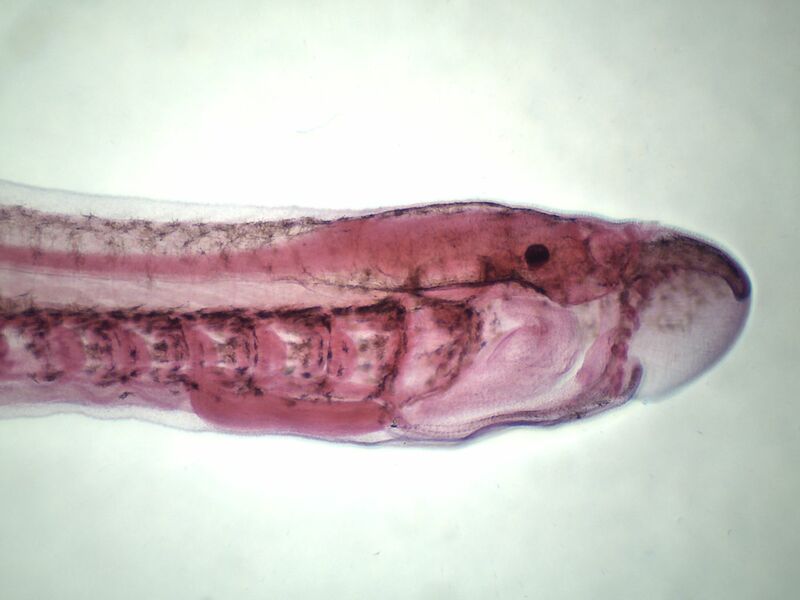 Larva of lamprey. Small specimen.